Where to Play Cleopatra for Real Money? Cleopatra is one of the most famous figures of Ancient Egypt, so it only makes sense for a slot to feature her. After all, the online slot world seems to have already used every other angle they can think of when it comes to this period of history! In making this slot though, IGT have managed to make it distinct from the other Egyptian slots out there, and the result is something that is really fun to play. The reels are decorated in the manner you might expect, with lots of gold and hieroglyphics, while the sound effects also add a large amount of fun to the gameplay. When it comes to the symbols, they all have an Egyptian theme to them, with even the 10 to A symbols being adorned with feathers and expensive jewels. Other symbols on the reels include scarab beetles and the sphinx, as well as Cleopatra herself, of course. For some the graphics might be slightly gaudy though, and a bit over the top, however others will really enjoy being immersed in its Ancient Egyptian vibes. Whether you like it is really down to your own personal preferences, so why not have a few spins today and find out? 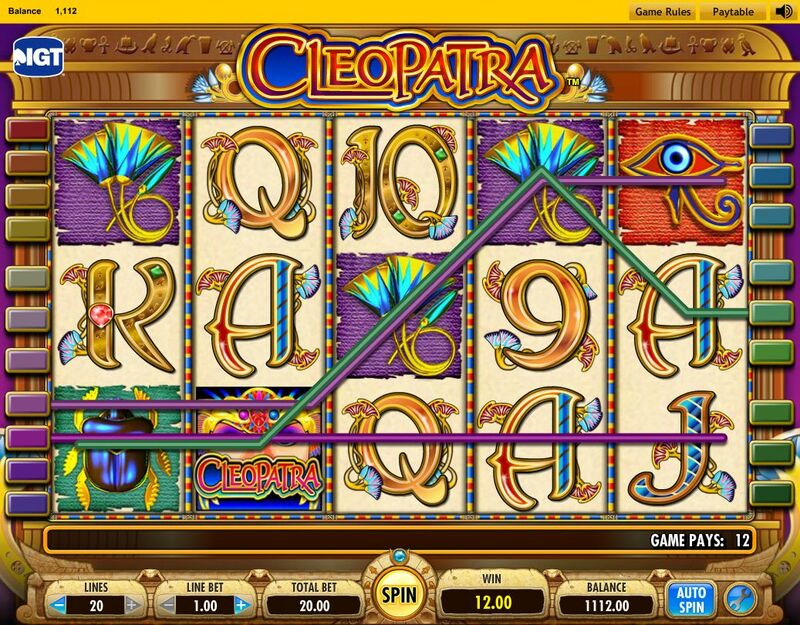 How to Play Cleopatra Casino Game? If you’re looking for a slot that is a bit different from the rest, this probably isn’t the slot for you. This is because Cleopatra plays in a completely conventional way. You’ll be able to choose how many of the 20 paylines you want to play per spin, and you’ll also be able to choose how much to bet on each of these paylines. You’ll notice that the maximum bet is extremely high, so this is a slot that really does cater for high-rollers pretty well. The minimum spin amount of 0.01 coins also means that lower stakes players can enjoy this game too though. Once the reels stop spinning, you’ll find out whether you’ve won. This will happen when you manage to get any of the symbols lined up on an active payline. It’s also possible to activate free spins, but more on these later. If you haven’t won then, well, you’ll just have to spin again and see if your luck will change. It should also be mentioned that, before you spin, you should turn your sound down slightly. This is because this game has incredibly loud sound effects, that might come as a bit of a shock! 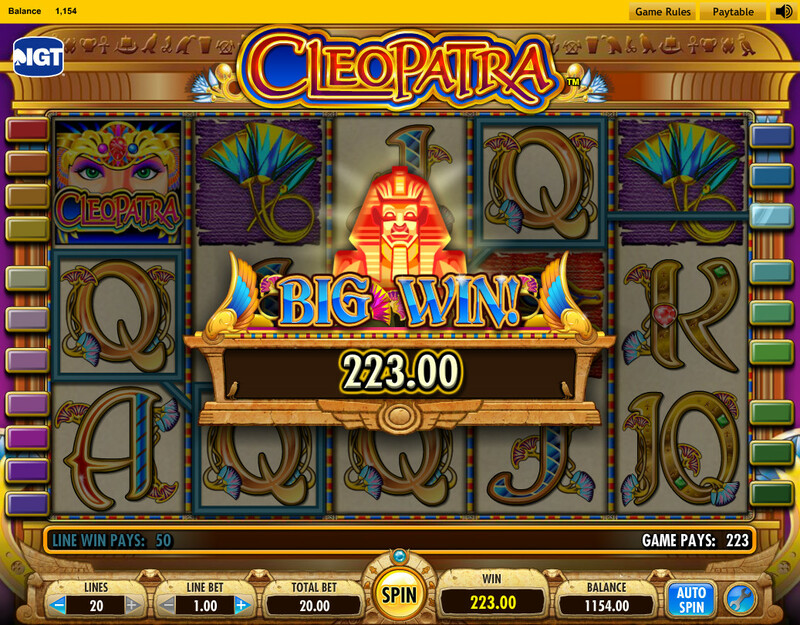 Cleopatra isn’t a slot that relies too heavily on bonuses, with most of the prizes coming during the base game. This might put some people off, but others will be glad to see a slot that concentrates on the basics, instead of on the added extras. During the base game there’s one symbol that might come in real handy, and it is the Cleopatra logo. This is because the logo is the wild symbol, and can therefore replace other symbols on the reels to create winning combinations. What’s more, any win with the logo in it will be doubled – which is great if it forms part of a high paying combination. The only bonus at this slot comes in the form of free spins, and these are activated by getting three or more of the sphinx symbol scattered anywhere on the reels. These free spins aren’t too special, aside from the fact that all wins are tripled when they are active. Unfortunately, this isn’t the case if you spin in the jackpot though, which is won when you get five Cleopatra logo symbols on a payline. 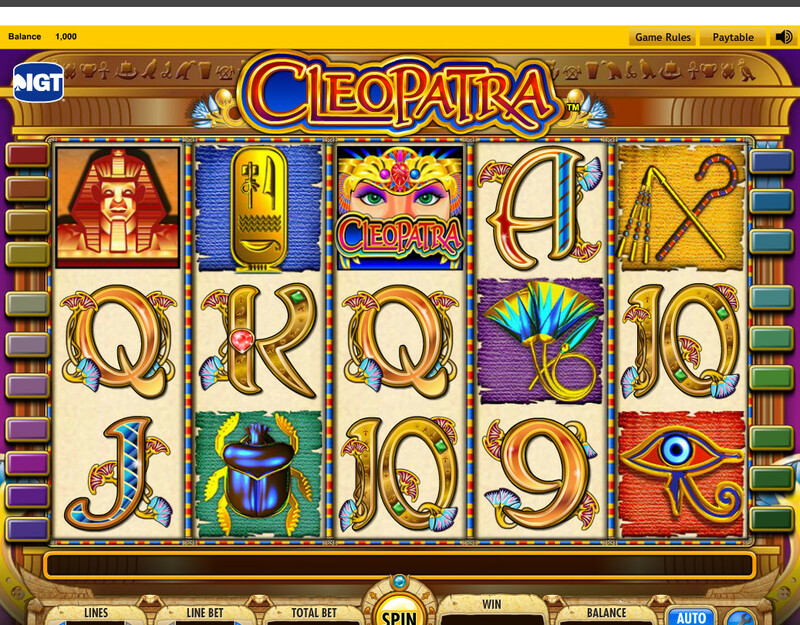 It should also be mentioned that there is now a new version of Cleopatra found at online casinos. It is almost identical to this one, aside from one large fact: the new one has a progressive jackpot. This means that it’s now possible to play this slot for massive prizes, which will only keep rising until one lucky player manages to win the jackpot. Of course, playing for the progressive jackpot does mean large bets though, so only a few will have the required finances. 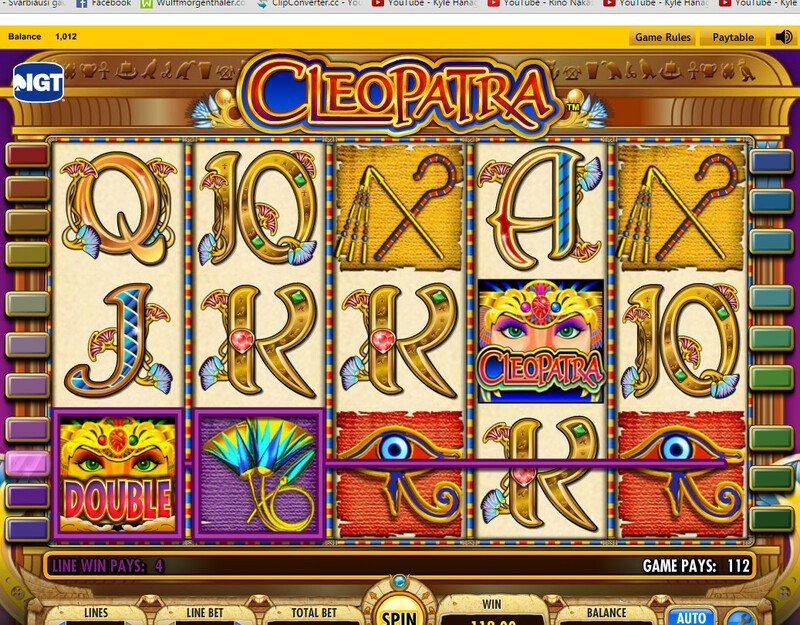 So, regardless of the version of Cleopatra you choose, you should really enjoy playing this slot. Why not take a few spins at it right now, and see if you can win the jackpot?